The other half made a request for a satay sauce, so I’ve come up with the below recipe. A quick search of satay sauces revealed lots of different techniques and lots of different ingredients. 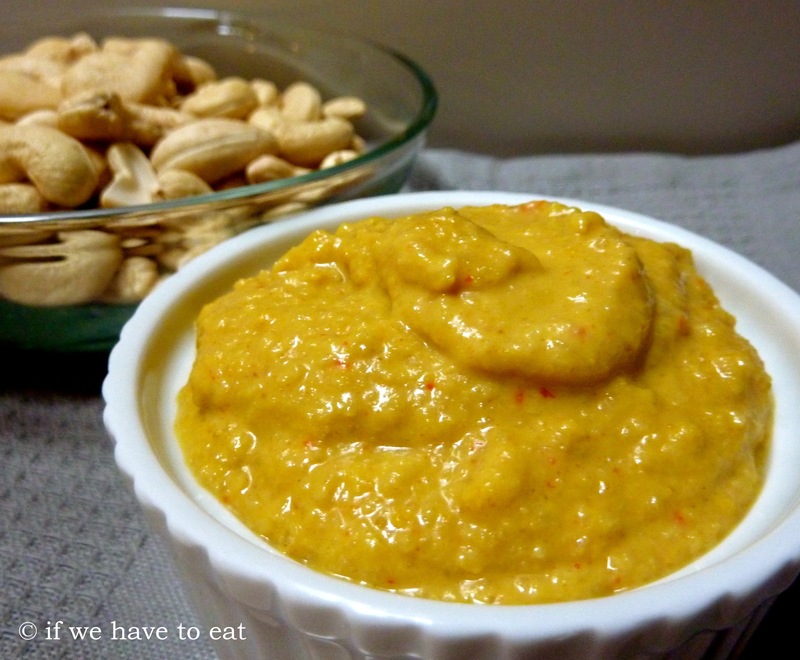 This recipe uses a spice paste as a base and cashews instead of peanuts. I also wanted to come up with something that didn’t require too many special ingredients so this isn’t totally authentic, but I think it comes pretty close. This entry was posted on February 16, 2014 by ifwehavetoeat in Mains, Sides and tagged Fast, Mains, Recipe, Sauces, Thermomix.